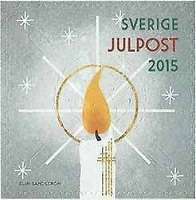 Sweden lined up with other countries that try to make philately lovers happier by issuing amazing holiday stamps collection. This issue is dedicated to the best known and widely loved symbols of Christmas, and here we want to tell you a story behind the creation of this issue. The current assignment of Sweden Christmas stamps creation was easy as pie for designer Elin Sandström, as she is an enthusiastic Christmas stamps artist. She said that she sends more than forty Christmas cards with her design annually, but this year will be special. She said she is so exited because she'll be able to send both Christmas cards and stamps of her design. 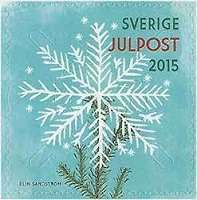 Elin Sandström's special concept is that new Christmas stamps should unify both modern style and evoke strong feel of past Christmases. She chose pleasant to eye colors, stars as decorative elements in order to compose atmospheric Christmas symbols that have harmonious look and are not catchy. She said that she wanted stamps to be conceived as funny and vivid. She used subtle lighting, recognizable forms and images. As a result the feel of Christmas from the stamps is rather modest than gaudy. The source of her inspiration was the images and greeting cards from 30s and 40s, including Christmas television programs from this time, especially and Walt Disney Presents Christmas special, Karl-Bertil Jonsson's Julafton Christmas, and From All of Us to All of You. She decided to include the symbol of star in the stamps from the very beginning, and during the process this decision only strengthened. According to Elin Sandström, she wanted to provide familiar shapes and images that arouse the warmest feelings and create fairy Christmas atmosphere, feeling of waiting for wonder she would like to experience herself during the holidays.